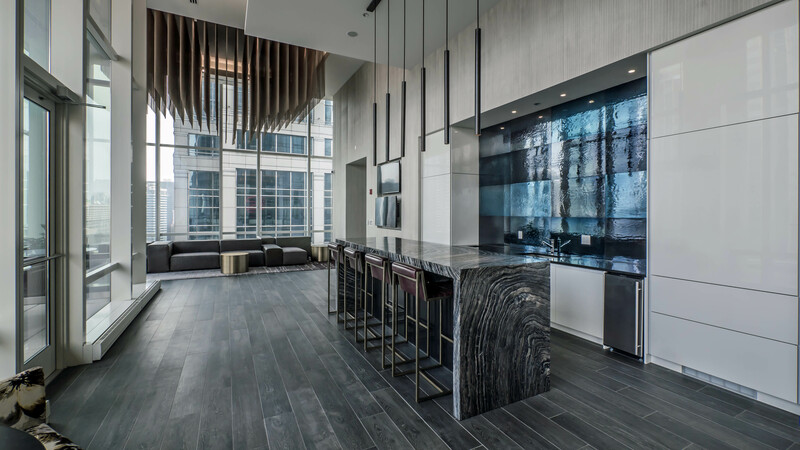 OneEleven is a 60-story, 504-unit “ultra-luxury” apartment tower with ground-level restaurant and retail space. 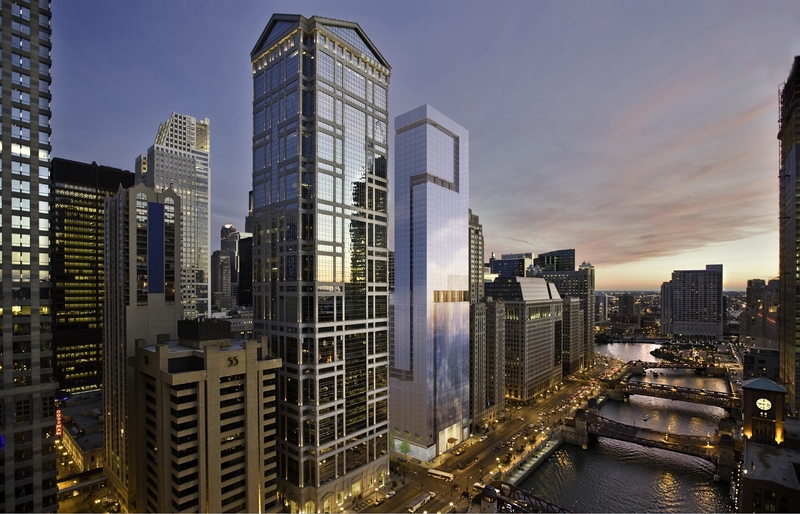 The development began in 2004 as Waterview Tower, a mixed-use 90-story tower slated to include a Shangri-La hotel and luxury condos. It stalled out in 2008 and went into foreclosure after reaching the 28th floor. Related Midwest acquired the property in July of 2011 and began construction on its current incarnation as a rental property in October of 2012. First occupancies began in the summer of 2014. 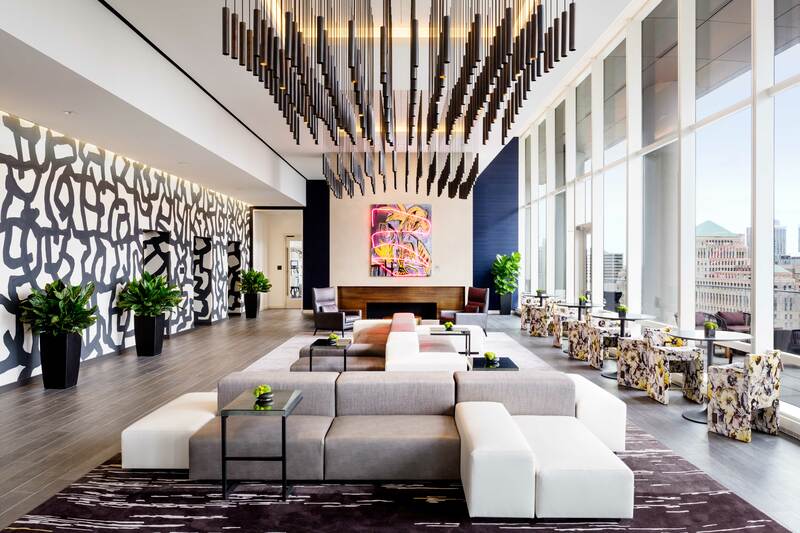 The development team included Related Midwest as the developer, Handel Architects, Kara Mann as the interior designer and Lend Lease as the primary contractor. 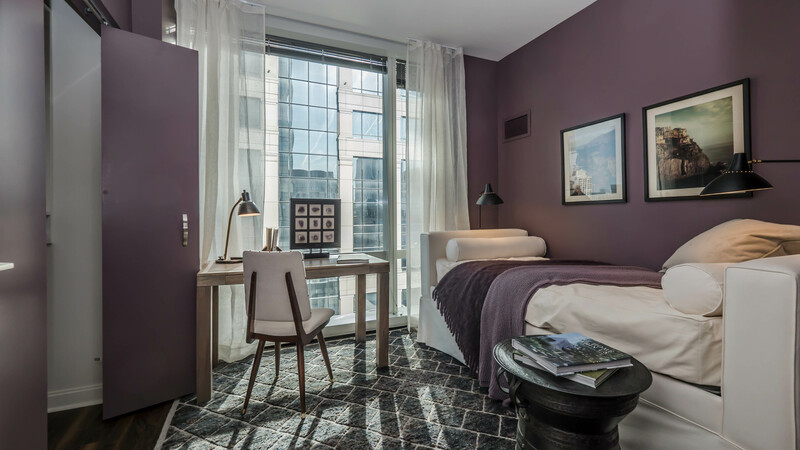 OneEleven has a wide variety of studio, convertible, 1-, 2- and 3-bedroom and penthouse apartments. 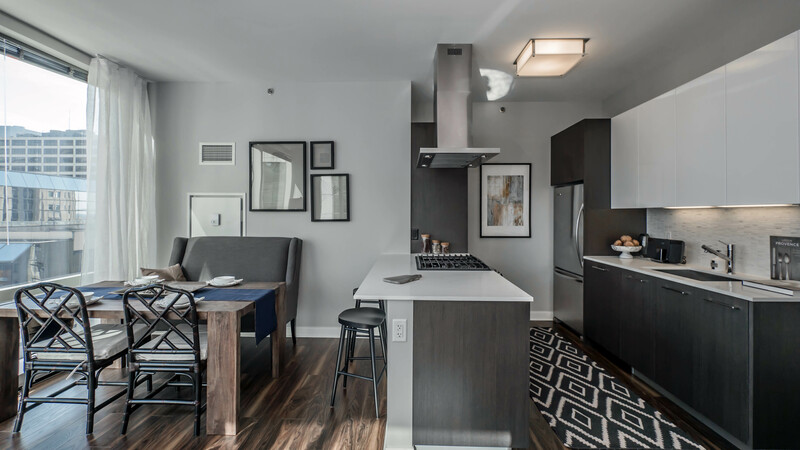 The apartments have wood-look floors throughout, floor-to-ceiling windows and premium-quality finishes. 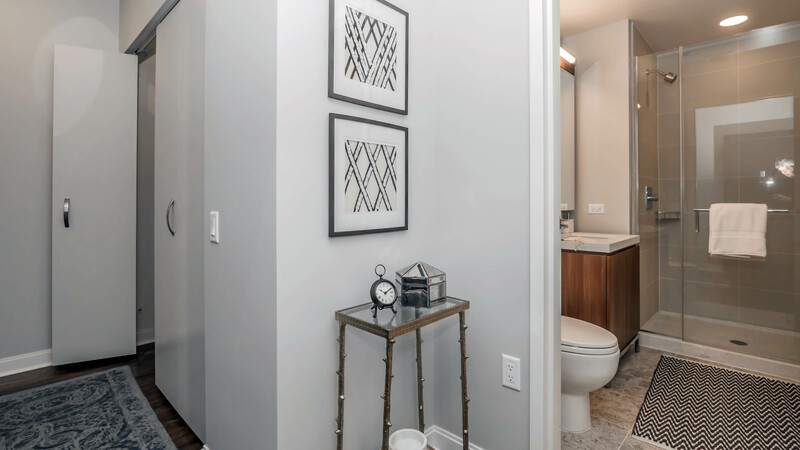 Open-plan kitchens typically have quartz countertops, under-mount sinks, glass tile backsplashes, a mix of white and espresso cabinetry, stainless steel appliances and pantry cabinets. Master suites in some of the layouts are very private. 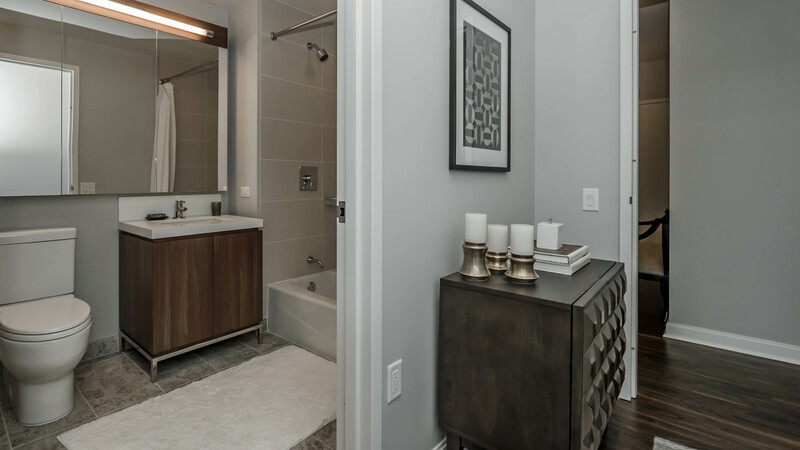 There are typically walk-in showers in one of the baths in 2-bath apartments. 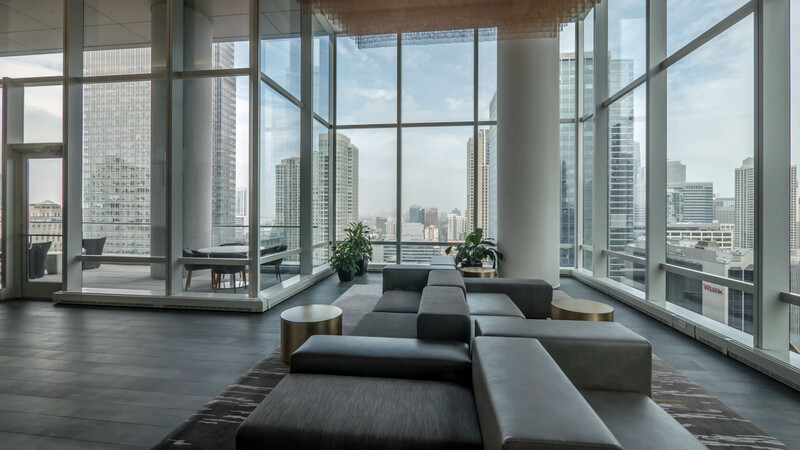 The recessed glass areas that ascend the building from its base to the penthouse level create opportunities for private balconies. Views. 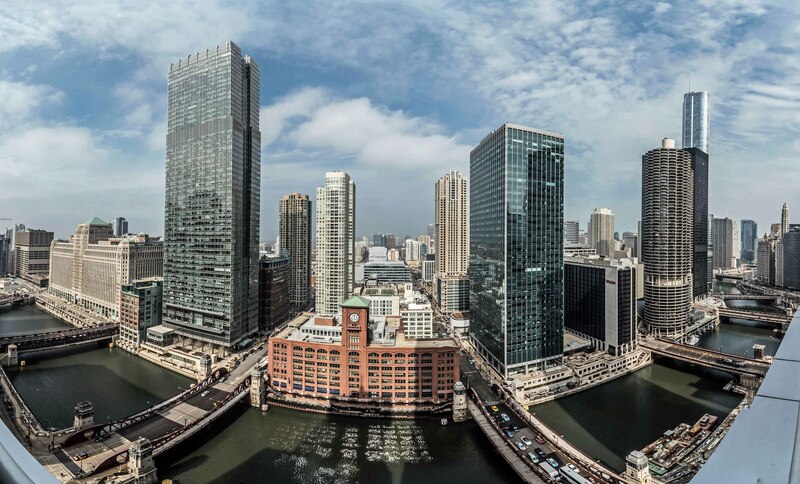 North-facing units enjoy spectacular unobstructed views east and west along the Chicago River and north into the River North and Gold Coast neighborhoods. 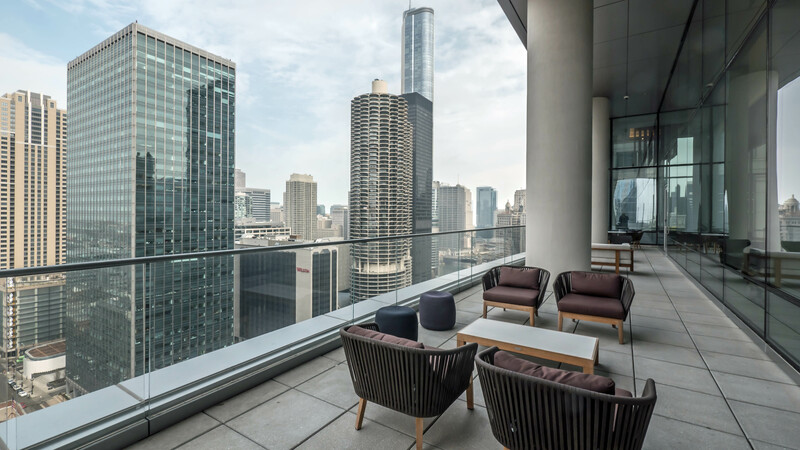 South-facing units on higher floors have good views of the forest of Loop skyscrapers, and a bit of a lake view. 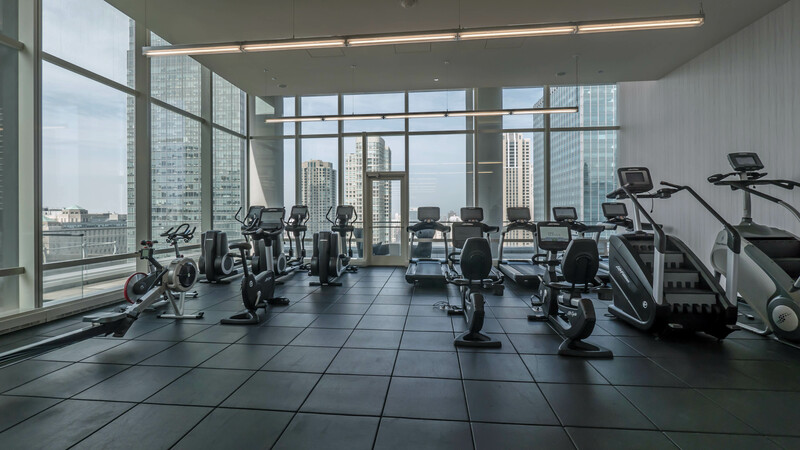 The amenities at OneEleven are impressive in scope and in scale. The amenities spaces are impressively large. Huge windows make the visually rich spaces appear even larger. Varied functional areas and furniture groupings scale the spaces down to facilitate small gatherings and quiet moments. OneEleven has an indoor lap pool with a window wall that opens seasonally. 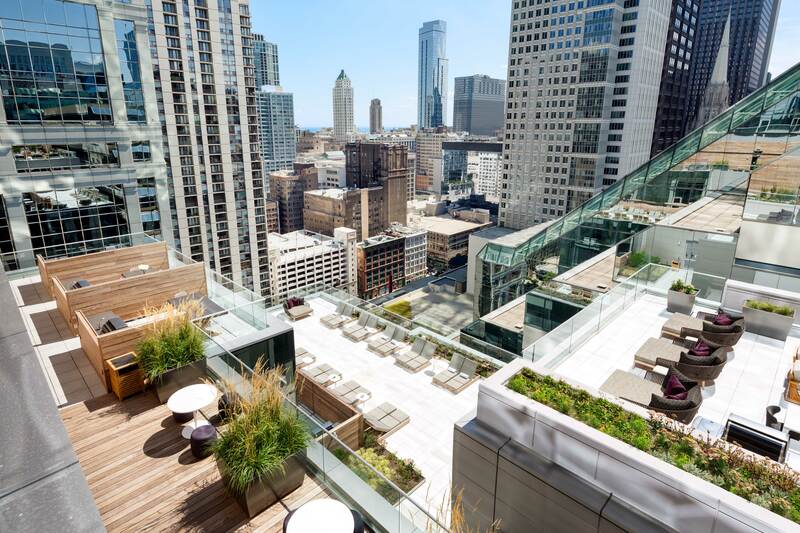 OneEleven has a separate party room adjacent to the first level of a multi-level sundeck that also has gas grills and cabanas. 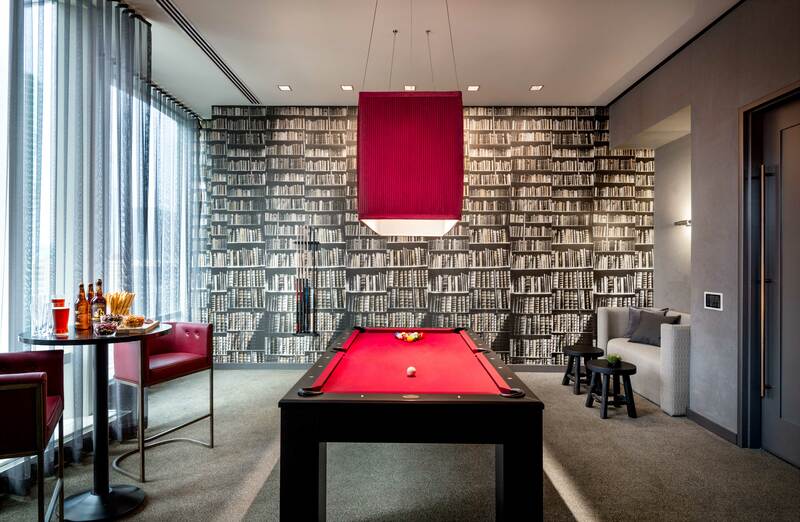 There’s a media room adjacent to a game room with a billiards table. 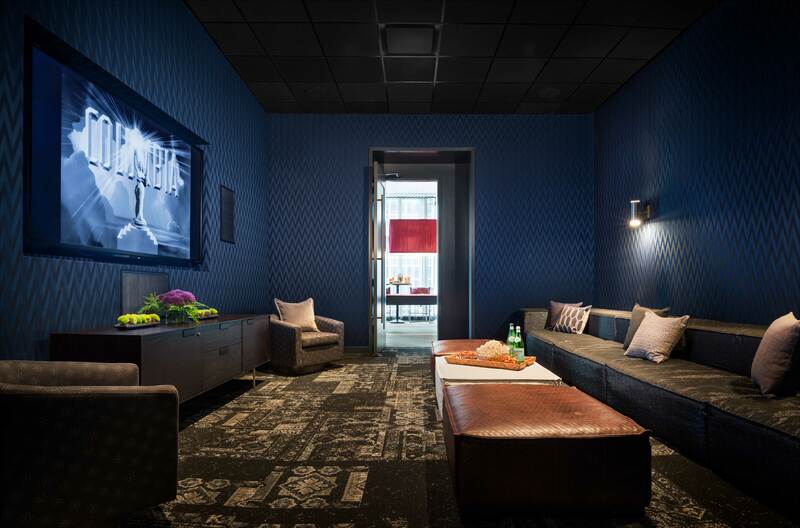 OneEleven has on-site leasing, maintenance and management staff and 24-hour door staff. There are 445 on-site garage parking spaces in two below-grade levels and the 4th through 14th floors. 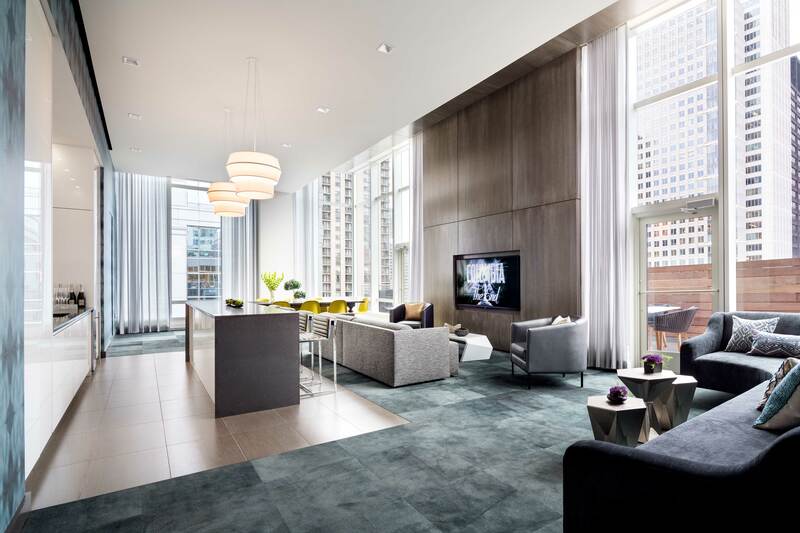 OneEleven was planned to achieve LEED Silver certification by the U.S. Green Building Council. 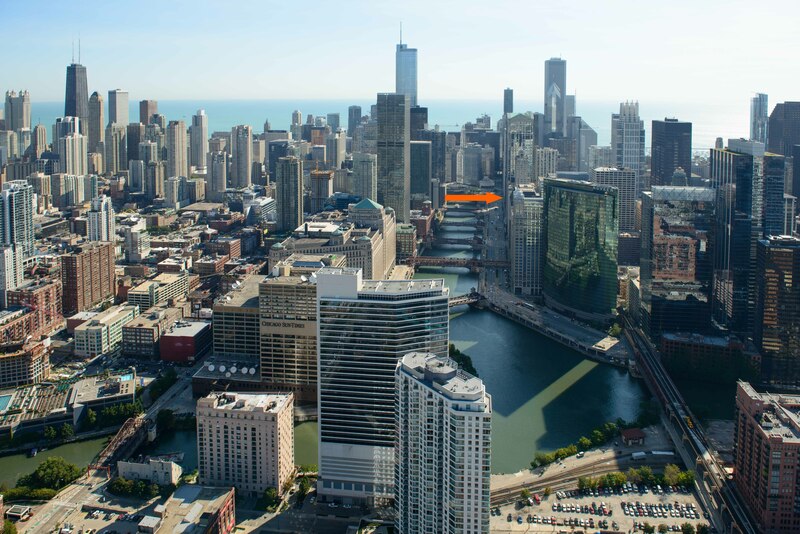 OneEleven has a very attractive location at the north edge of the Loop, fronting the Chicago River. Shopping. Grocery shopping is not a strong point for OneEleven. The nearest full-service grocery, City Target, is a half-dozen blocks away and the grocery department is on the second floor. Mariano’s is nearly a mile to the east, about the same distance as the nearest Jewel. The farmers market at Daley Plaza is a seasonal favorite. 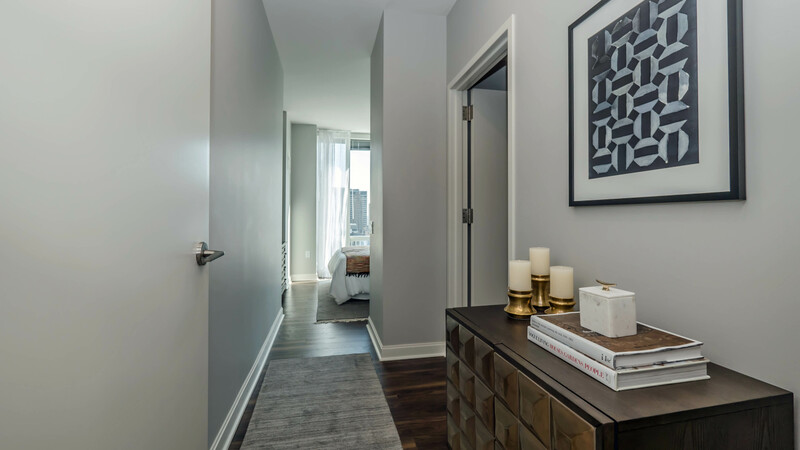 OneEleven residents have quick access to State Street shops and are only a few minutes’ walk from Michigan Avenue’s Magnificent Mile shops. Dining, nightlife. 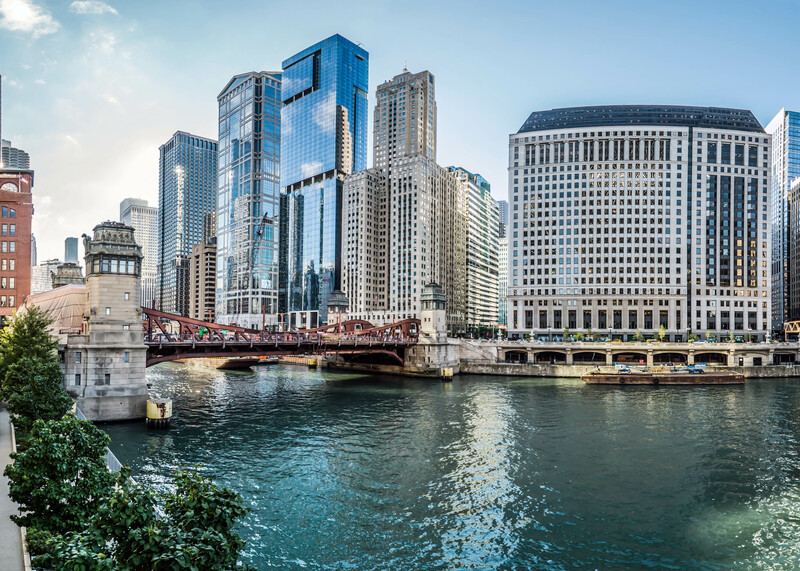 There are abundant options in the Loop, but many cater heavily to hotel guests, office workers and tourists. 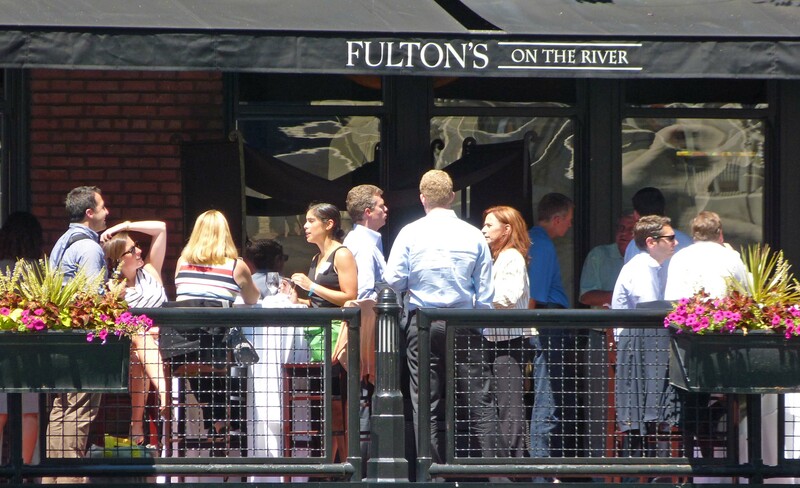 The thriving, dense and diverse River North restaurant, bar and nightlife scene begins on the opposite side of the Chicago River. Parks, recreation. 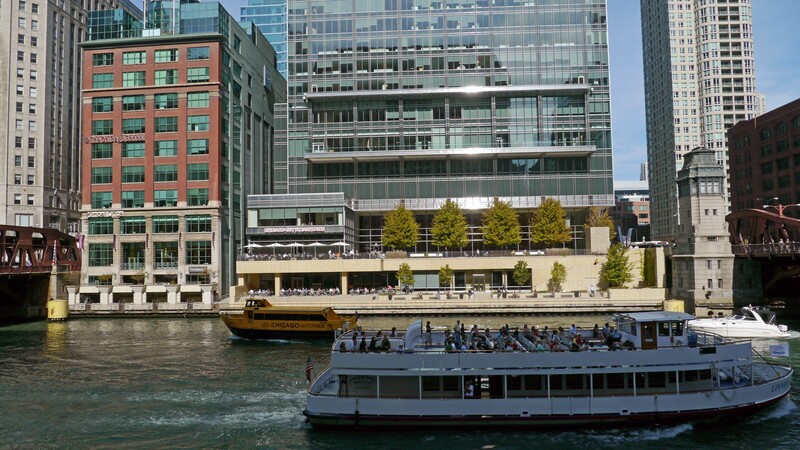 The expanding Chicago Riverwalk is just across the street from OneEleven, but proximity to parks and outdoor recreational activities is not one of the building’s strengths. 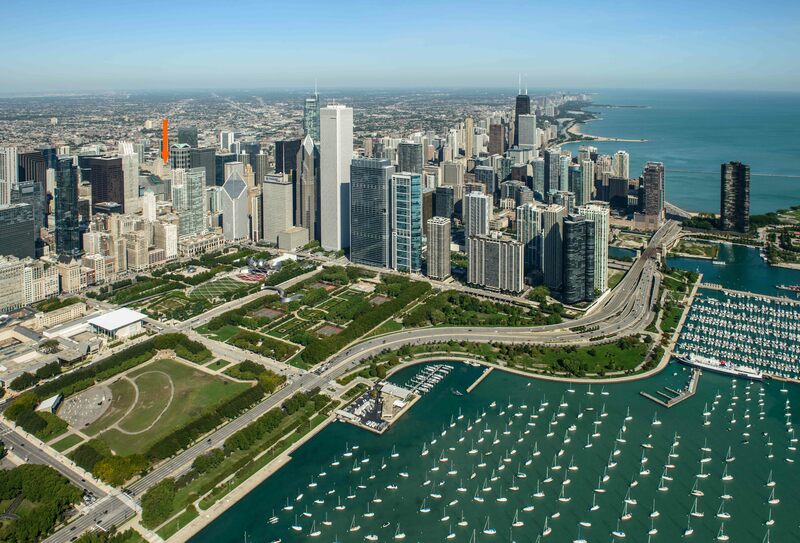 Millennium Park and Grant Park begin six blocks to the southeast, but the Loop is otherwise a park desert. Cultural attractions. 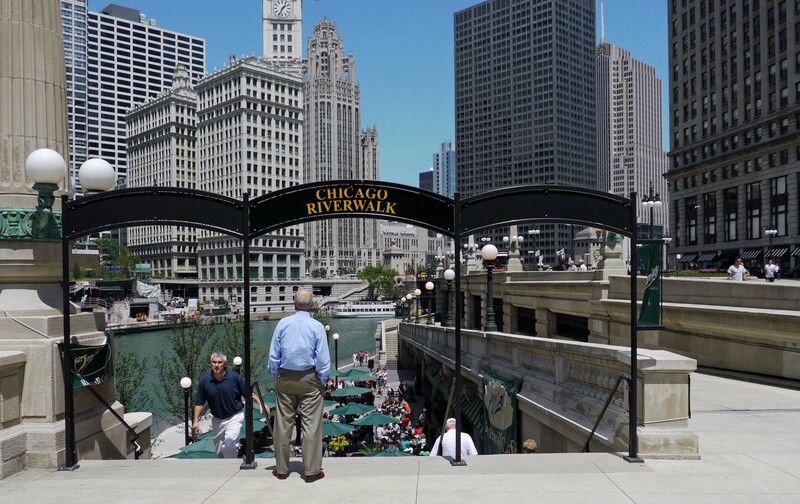 OneEleven is near many of Chicago’s top cultural attractions. 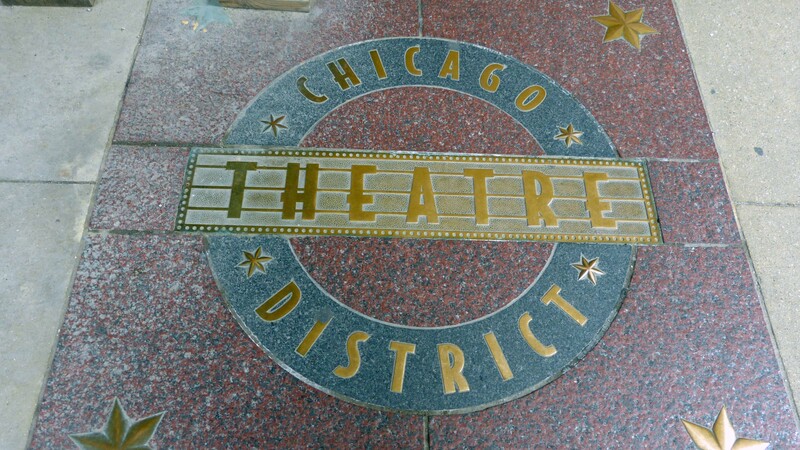 The Loop’s theatre district is just south of the property. 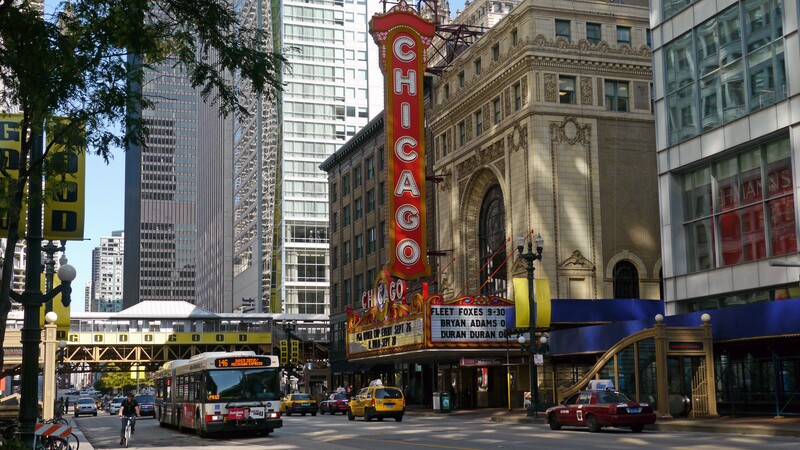 The Art Institute, Lyric Opera and Chicago Symphony are a few minutes away. Transportation. Public transportation is excellent. The CTA El stop at State and Lake is near the property and serves 5 different routes, including Orange Line access to Midway Airport. The nearby Pedway enables all-weather access to the Red Line and the Blue Line to O’Hare Airport. CTA bus routes in the area provide citywide connections. 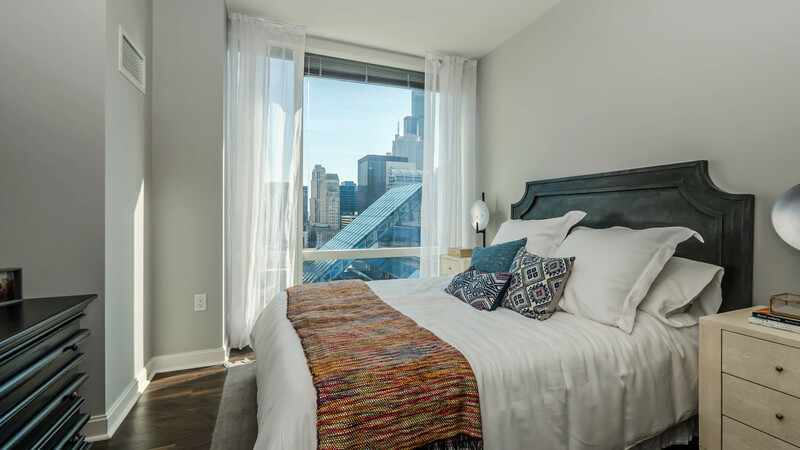 Many residents will consider cabs their preferred form of public transportation, and taxi service is near-instantaneous at the property’s front door. A zipcar car-sharing location is on-site. I-90/94 and I-290 can generally be reached within a few minutes. 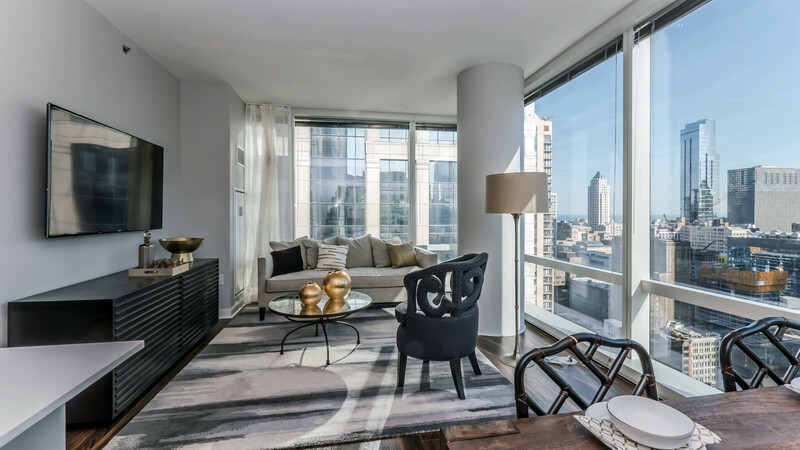 If you have lived at or visited OneEleven, and are not a real estate agent, add your thoughts in a comment. Comments are moderated, and commercial messages are not allowed. The studio apartmentsat one eleven seem postage stamp size with little closet space compared to Coast and 73 east lake.